One Love is strangely one of the few albums I’ve actually gone out of my way to buy in the form of a physical CD, back in 2009 I went and bought One Love along with Jay Z’s The Blueprint 3. Having actually spent my own money on the albums I wanted them to be good so badly, but One Love was nothing great. I really liked the Kelly Rowland assisted When Love Takes Over and Memories featuring Kid Cudi, both reasons as to why I bought the album in the first place. 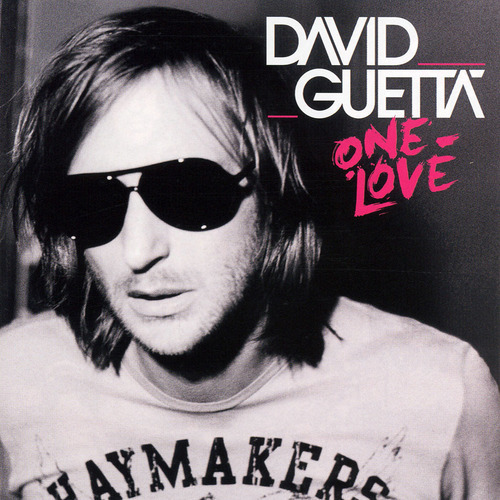 Guetta possesses a certain spark of credibility on occasion and on One Love, this comes in the form of Choose, again enlisting the help of Kelly Rowland as well as Ne-Yo who lends his voice is a surprisingly convincing way, a voice almost fitting to Guetta’s production style. It’s up there with the high standard of dance music being put out at the moment. Much like Chase & Status, David Guetta is one of those artists who bring nothing ‘fresh’ to the genres they sell millions of records on. However, David Guetta sometimes shows a glimmer of individuality, a flash of a more credible music producer as apposed to a churner of chart toppers, but these flickers are few and far between. Other than a few singles and Choose, One Love is typically poppy and I hate to say it, but ‘mainstream’ and there isn’t a lot for me to recommend. However, with songs like Choose you can see that Guetta sometimes actually can surprise and bring you a quality piece of music, unfortunately not in the shape of One Love.